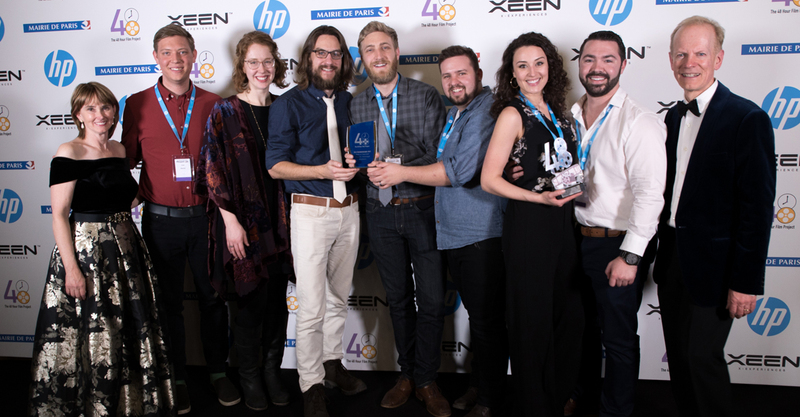 (March 10th, 2018) Paris, France: Filmmakers representing Buffalo, NY were honored at the international 48 Hour Film Project Awards. The team, Partially Submerged Elephants, first learned that their film, Ride of Your Life, was in the top 12 films in the world among 130+ international cities. Hours later at the international awards ceremony held at the Hôtel de Ville, Paris, their film won Best Cinematography, was in the top 5 films nominated for best film, and they were nominated for best editing. Their film next will be screening at the Festival De Cannes 2018. The 48 Hour Film Project is the largest time-based film competition in the world with 130+ participating cities. In just 48 Hours, filmmaking teams brain-storm, write, produce, edit and deliver a five to seven minute film. They choose a genre out of a hat and are given a prop, character, and line of dialog that they must include in the film. 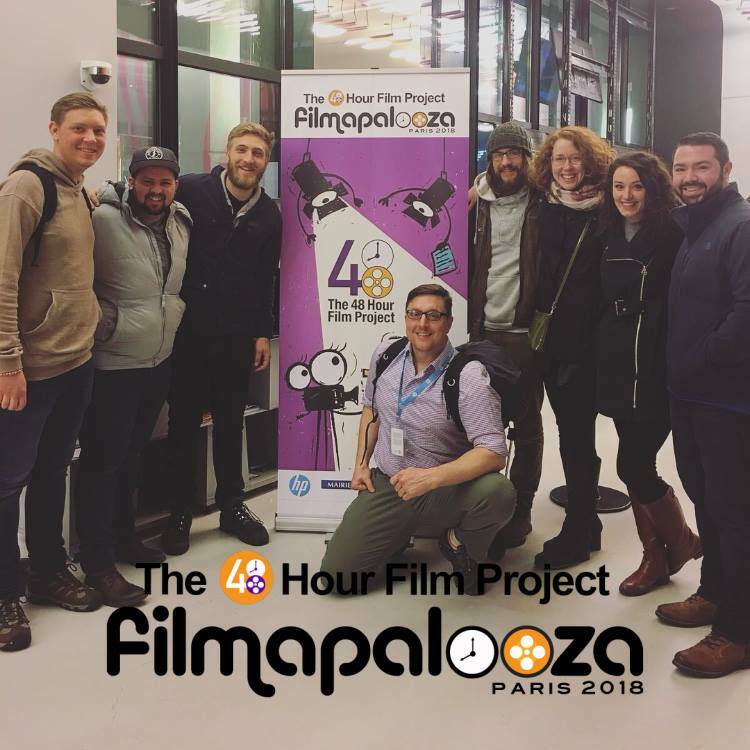 Buffalo was represented at Filmapalooza in Paris by the Buffalo City Producer, Jordan Lema and the Partially Submerged Elephants team members, Travis Carlson, Megan Gonsalves, Aaron Rizzo, Maria Claire, Marc Braun, Marc Davies, and Cole Bielecki. The team is compiled primarily of members Pagula Sports and Entertainment. This is the first time since 2008 that a Buffalo team has reached the top 15 at Filmapalooza. Ride of Your Life from Travis Carlson on Vimeo. The Buffalo 48 Hour Film Project city producer, Jordan Lema has also won ‘best social media video’ and was nominated for best ‘social media campaign’ out of 130+ international cities. Like and follow the Buffalo 48 Hour Film Project on facebook for more information on their journey and wish them luck at Cannes! Keep an eye out for your shot at the Filmapalooza and the Festival De Cannes 2018 Buffalo 48 Hour Film Project in August http://48hourfilm.com/buffalo!